Think Pink Aerolite DIY guide to making sure you get this right and enjoy the benefits of a well insulated home. How to install Think Pink Aerolite DIY is a simple guide. On what to do and how to make sure that you get the best out of your Think Pink Aerolite. The idea is to give you the basics be or installing as well as making the decision on what thickness Aerolite Insulation to purchase for your application. Choose the correct Roof Insulation this is very important. Make sure that you purchase the correct insulation for your region. Measure the beams and get an idea of the width between the beams. Most roofs with tiles will have beam widths of 700mm to 750mm. Most roofs with sheeting will have beam widths of 1200mm. Think Pink Aerolite DIY needs a little more prep work before getting ready to install. What to wear when working with fiberglass insulation like Think Pink Aerolite is up to you. However, we recommend full cover as fiberglass is rather itchy to work with if it is your first attempt. So wear long pants as well as a long-sleeved shirt and long leather gloves. In fact, Welding gloves the longer ones, as well as a good dust mask and eye protection. As the dust from fiberglass will be airborne as well while working. The easiest way to prepare for Think Pink Aerolite DIY is to pre-cut your rolls downstairs instead of in the roof space. Unless you have a high easy accessible roof space. If your roof is sheeting then you may be lucky to get away with installing without the cutting of the insulation so the 1200mm will be installed as is. If your beams are 700 wide as is the norm with Tiled Roofs then you will need to cut the rolls. We prefer cutting the rolls of Think Pink Aerolite as they are in the rolls with a long wood saw. Importantly it would be better to cut the rolls at 800 mm. This means the off cut piece of 400mm Think Pink Aerolite will be joined together. Joining another off cut piece of 400mm to give you a good 800mm tight fit as well. How to Lay The Think Pink Aerolite DIY style on the Ceiling. Now that you know what your beam widths are and you have prepped a few rolls. Take these cut rolls into the roof space. MAKE SURE NOT TO PILE THEM IN A HEAP ON TOP OF EACH OTHER AS THEY COULD DAMAGE YOUR CEILING. Always lay them safely and separately. Take the first 800mm roll go to the edge of the roof at the lowest section place the roll between the beams and roll it out. Should you have wires in the way make sure you tear of the insulation and ALWAYS FIT WIRES ABOVE the Aerolite Roof Insulation. Now The 400mm off cut sections of insulation can be installed side by side i.e. Two pieces of the 400mm Aerolite laying side by side in the next beam line. Installing insulation in your roof space is simple. However there are a few basic rules that one must take into account. Firstly all wires were possible must be laid above the Aerolite Insulation. Secondly cutting breathing holes around all down lights is very important. Although the Aerolite Insulation cant burn, ceiling boards and timber in the roof space can. As a result it is important to have a breathing hole around the down light. As a result the heat from the light will be lost to the roof space. Make sure that that insulation is not rolled over the beams as this is absolutely pointless and will more than likely make your home hotter in summer and colder in winter. Roof Insulation is not cheap and if installed correctly it will save you money on heating and cooling for many years. So take your time and do it right from the beginning. Always make sure that the Aerolite Roof Insulation is fitted tightly between the beams. In fact, there must no gaps as this will mean heat loss or heat gain. All Aerolite Ceiling Insulation must be laid tightly between the beams directly on the ceiling. Importantly you do not want to fit the insulation directly to the Roof pitch line. As this will not give you the best benefit. Ceiling Insulation fitted against the roof on a normal pitched roof. As this will not give you the best benefit, as the cavity space underneath the insulation will absorb all the warm air you create in the home in winter. Laying the Think Pink Aerolite Ceiling Insulation directly on the Ceiling is the correct way How to Install Aerolite DIY. Very important note that all Downlights must have hole cut around each of them. This is because all down light can be a fire hazard if covered with insulation. Down Light can achieve temperatures of 270deg to 350 degC. LED lights do not get hot but must not be covered either. The thickness of Aerolite Ceiling Insulation for the Cape Town and Western Cape region as well as Johannesburg and Pretoria is 135mm Aeroliteachieving the R-value 3.70 as per SANS legislation. If you already have a layer of the old insulation fitted before 2013 when the new SANS legislation came out you can top up with 100mm Aerolite to make your home SANS compliant. 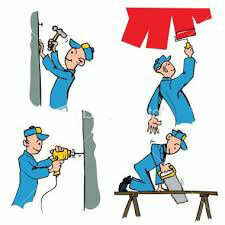 For Aerolite DIY prices give us a call or fill in our contact form.